Ainsworth Gaming Technology are an Australian slot game developer that is firmly tied to Aristocrat. Len Ainsworth, who founded Aristocrat in 1953, is the owner and chairman of AGT. Aristocrat are the second-biggest slot game developer in the world, and Ainsworth slots are similar, not wanting to ruin the recipe that is proven to work, while the slots are better produced, with better graphics, and sometimes even adapt their style a bit to facilitate mobile play. What Ainsworth is all about? Ainsworth slots are found in both land-based casinos and in online casinos, and they still feel as classic as Aristocrat slots, as they lack extensive bonus rounds, innovative features, and other things which are done by companies that operate online only and that not limited by anything related to land-based slots. 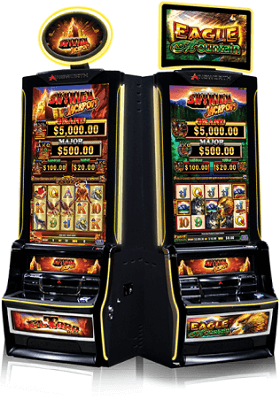 The company is still tied to land-based operation, hence the lack of innovative features – all Ainsworth slots look alike though they can differ greatly in gameplay. In fact, it was only in 2013 that the company decided to bring their land-based slot machines online. These are still simple classic slots with simple free spins games, though with a higher production value than Aristocrat. We do expect a change in the near future since the company was recently acquired by Novomatic. Ainsworth slots are very skinny when it comes to payout. Most of them are under 95%, some even under 94%, posting numbers such as 94.30%, 93.88% and the like. Barnyard Bonanaza even has only 93.00%. Land-based slot players will be used to numbers like this, but their online counterparts might be looking for a casino games with much higher payouts. 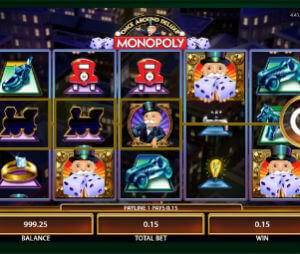 However, most games find a way to be rewarding for the player, usually through their very rewarding free spins games. And it’s a matter of luck when in your playing session will you trigger the free spins game and how often will that happen. Ainsworth only have slightly more than 30 slot games in their growing portfolio, but they already covered most of the usual themes. Ancient Egypt, China, Ancient Greece are all covered, and it seems they are a bit biased towards wildlife slots. At least a third of their slots are about wildlife, whether it is a jungle theme, American wild west, Africa, or wildlife in general. Ainsworth do love to base their titles on an animal, such as Eagle in Eagle Bucks, horse in Mustang Money or Wolf in Winning Wolf. And these are also among their most popular titles. Ainsworth aren’t ones to innovate. Most of the time they just sprinkle the symbols with the usual cliches – sometimes they mix these up – and give the slot game a title and a logo, and that’s it. They don’t go far beyond the basic needs of the slot game when it comes to theme and graphics, yet they infallibly manage to create themes the players enjoy. Compare this to some other slot developers that create flashy and stunning slots which end up having no player base. Ainsworth only do the basic things and sometimes even create ugly symbols, yet their player base plays these slots religiously. It’s common for Ainsworth to not offer anything other than the free spins game. There are never any other bonus games, just the free spins game, which can take many different flavors. For example, in Barnyard Bonanza it’s even possible to choose between five versions of the free spins game, and in some other games you get multipliers, stacked wilds, expanded wilds, better-paying reel strips and the like. Another common feature for Ainsworth is to use a lower-paying paytable in the free spins game to reduce the payout. The Scatter will always be the highest-paying symbol, and in most Wild will be the second-best, followed by the normal symbols. There are always six card symbols and they always have the same artwork. Commonly, Ainsworth will have a ridiculous maximum bet per spin such as €3,000 and sometimes even €10,000. Clearly, the developer has absolutely no intention of stopping you if you want to bet this ludicrous amount on a slot game spin. It’s difficult to call any feature here innovative, compared to other slot developers which actually take advantage of the technology that’s available, but Ainsworth still manage to make their titles differ from one another in playability, overall feel, and the nature of the free spins game. And they do manage to find ways to do that. Ainsworth slots are a welcome upgrade for all Aristocrat fans, and might even lure a casual online slot player here and there, especially with some better-produced slots such as Dragon Lines, Hotter than Hot or Barnyard Bonanza. Most people who play Ainsworth slots probably tried them first in a land-based casino and just took that acquired taste online, but that’s not to say the slots are no good. They hold their own, and are good classic slot games with more than decent graphics, and rewarding free spins games. While the company can not compete with the big slot game developers when it comes to production value, it would be wrong to assume this is a small developer. Aristocrat and Ainsworth produce classic slots yet they know their players well and offer them what they want, without straying from the recipe that works. And this is why Aristocrat is the second-biggest slot game developer in the world, and Ainsworth is its spinoff with better graphics, which dares to innovate every now and then. Apart from all those land-based casinos? Well, sadly, very few online casinos offer these games at the moment and the company should definitely work more on infiltrating the online casino industry. Videoslots have many Ainsworth casino games, though not all, and SlotsMillion have nice variety as well. In any case, a player will have to specifically search for casinos with Ainsworth games as there are only around a dozen of them in total, and will rarely stumble upon an their games if not specifically searching for it. But they are worth tracking down – so many players in land-based casinos enjoy these slots so there’s a payoff in finding and playing Ainsworth slots online.